Brocklands Farm nestles in the heart of the South Downs National Park, overlooking Hampshire’s stunning Meon Valley. Within easy reach of London, we offer the perfect spot for a memorable and relaxing glamping holiday. 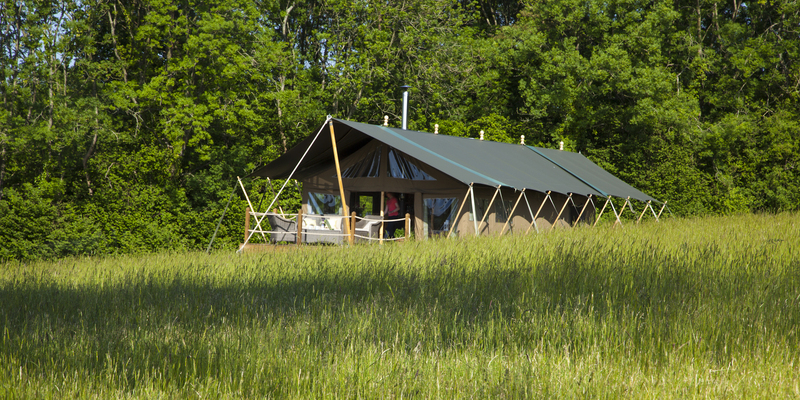 In a spacious grassy field our two safari tents sleep six and are packed with luxuries. It is the perfect place to unwind and drink in the surrounding beauty in a truly tranquil spot. Once you’re here, you are welcome to walk the farm and enjoy unrivalled views of the South Downs, perhaps glimpsing local wildlife such as hares, lapwings or deer. Pay a visit to one of the numerous attractions that makes this such a popular part of the world. Or why not just sit back in the evening and watch the sun set over the valley before snuggling into a real bed surrounded by the quiet noises of the Hampshire countryside? The farm offers so much to do – walking and cycling or simply watching the land being cultivated or the buzzards soaring over your head. The Meon Valley Trail, South Downs Way and Monarchs Way are all nearby. Or you can stroll to the picturesque village of West Meon with its delightful pub, award winning butcher, community shop and flourishing café. Brocklands Farm is the place to relax, savour the company of friends and family and relish the joys of being in the outdoors. There is nowhere better to enjoy your glamping in style.